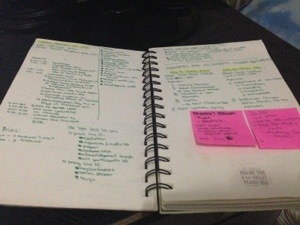 Lately, I started appreciating the wonders of notebooks with no lines. 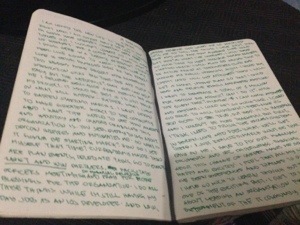 I wasnt a fan of them back then since writing horizontally straight for me was hard to achieve! But now, im loving it! You can organize notes whatever and however you like it! You can even make doodles and let all your creative juices flow! I still cant write straight always buy hey im improving! 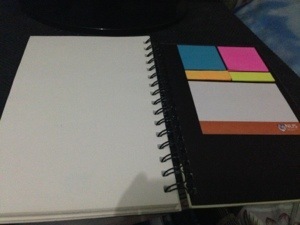 And now, im proud to present to you my awesome lineless notebooks! My big brother, Labe, gave this to me 18 June 2011. I have a habit of noting dates of ownership of my notebooks or books on the top right of the first page so i know the date. 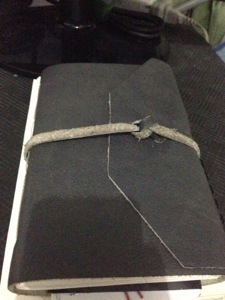 I wanted it to be my travel journal but i got lazy in my travel chronicles for two years so it was almost empty! Lol. So i decided to make it a personal journal the following year so i no longer have to buy one. Aside from writing and all those wordy descriptions, i tend to collect souvenirs usually in paper form so i can stick it inside my journal. 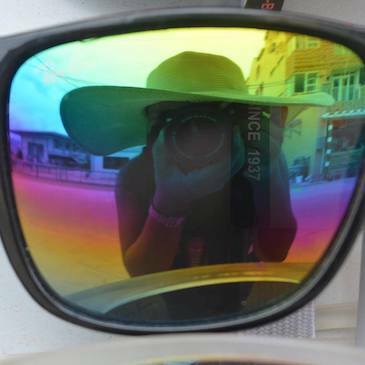 For last week, these are the highlights! Then there’s this journal I use outside home becuase of its cuteness I can carry it anywhere! I got it 19 December 2012 as a Christmas present from the same brother of mine. 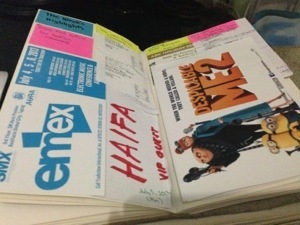 It was my first Moleskine and i had mixed feelings about it. I was excited to use but afraid at the same time to use this too-expensive-for-a-notebook thing. Lol. 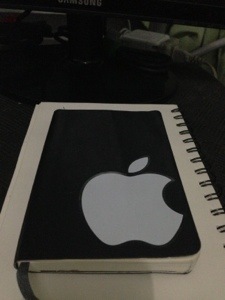 To add some character in my moleskine i added a sticker on the front cover. Its free when you buy Apple machines or devices. 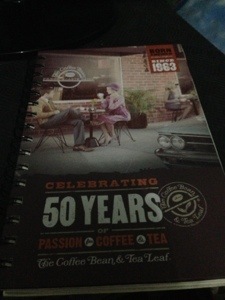 Then there’s the latest notbook I bought at Coffee Bean and Tea Leaf. Bought 25 june this year. 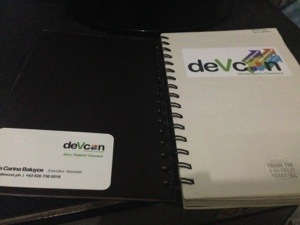 I use it as my notes at DevCon. Another habit that started in college was the use of sticky notes! I put enough amount of it and arrange them at the back of the cover for easy access. And that’s it! What about sharing your notes too? You might have organizational habits that I would want to have myself!